Announcing your eLearning event online can increase attendance and widen your profit margin. But it also has the power to enhance your online visibility. In this article, I’ll share 7 tips for using an eLearning Event to drive traffic to your site. Building a successful online presence is crucial in the digital era. You must be vigilant about managing your reputation and curating content that grabs readers’ attention. 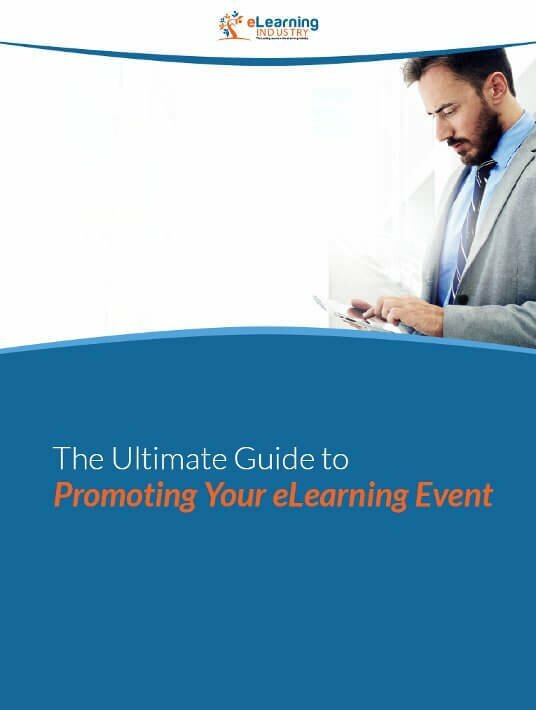 However, one of the most effective ways to raise awareness of your eLearning brand is posting an eLearning event announcement. Spreading the word about your upcoming function can bring visitors to your site and help you rank higher in search engine results. Here are 7 top tips for funneling traffic to your website with an eLearning event. Keywords are one of the most powerful weapons in your SEO arsenal. As such, you must choose wisely and do your research. Use a keyword tool to gauge popularity and opt for terms that have low to medium competition ratios. This helps to ensure that your announcement is visible online and rises to the top of the search results. It's also important to integrate your keywords organically and use them in moderation. Ideally, you should only include your primary keyword 4 to 5 times in the body of your eLearning event description and then once more in the title. Otherwise, you run the risk of oversaturating your content, which might land you in hot water with the search engines. One of the benefits of posting an eLearning event announcement is that you get to include links to your site or sales page. This can drastically increase your web traffic and site conversion rates. These hyperlinks also give readers the opportunity to learn more about your eLearning event without searching the web. It's win-win. Once visitors have arrived, they can explore event highlights, watch promo videos, and read guest speaker backstories. In other words, you can sell them on why they should attend your eLearning event and remove any obstacles. People can't pass up a great offer. You can take advantage of this human trait by giving your readers a special bonus if they visit your site. Include all of the pertinent details in your eLearning event announcement, but leave something up to their imagination. For example, mention that the first 50 people who RSVP for your eLearning event will receive a free gift. You can even use this technique to build your email list. Simply include an opt-in on your site and offer a free eBook, report, or discount for those who sign up. The goal is to get visitors to your site that they learn more about your eLearning company and the benefits of your eLearning event. The announcement gives them a glimpse of what's in store, but the website provides the complete picture. Plus, you get another opportunity to promote your eLearning products and services. Your eLearning event gets them in the door, but your website needs to seal the deal by making a great first impression. Thus, you should focus on navigation and usability of your site. You see, visiting a website is about more than just gathering information. It’s an experience. Once people click through to your site you want them to stay for as long as possible. This won’t happen if they find inactive hyperlinks, confusing navigation icons, and a cluttered layout. Your site content should also contain keywords that draw them in. Preferably, the same keywords that you’ve included in your eLearning event announcement. Cohesiveness is essential to building your brand image and increasing site traffic. In addition to site links, you can also include multimedia hyperlinks that feature eLearning videos, infographics, and compelling images. Visitors enjoy visuals, particularly when they show “insider” details about your eLearning event. For example, photos of attendees having a great time or video testimonials. Rather than just reading all of the benefits in a bulleted list, attendees have the power to see the benefits in action. 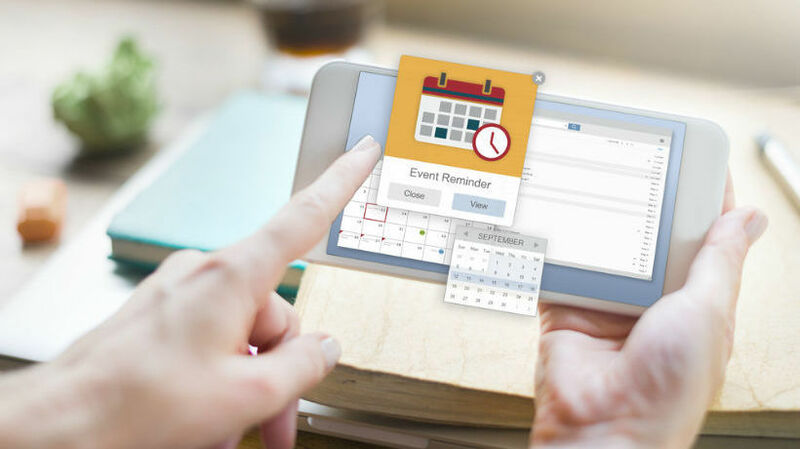 Thus, they form a more personal connection with the eLearning event, as well as your brand, and are more likely to RSVP. The title is what pulls them in and prompts them to click through to your site. Keep in mind that people don’t have a lot of time to read eLearning event announcements. As such, yours’ must stand out from the crowd and grab their attention. Be clear about the type of eLearning event you are hosting, who it’s for, and what benefits it can bring. If it’s going to be held at a physical location, include the name of the city, state or country so that you target the right audience. Make it as catchy as you can. For example, use alliteration to make it roll off the tongue. However, there is one golden rule that you should never break: never make promises that your eLearning event can’t keep. This may be the last tip, but it trumps the others. This is because it affects every aspect of your eLearning event. Your announcement, and everything about your organization, must be genuine and authentic. Be honest about the advantages of attending your eLearning event and which topics you’re going to cover. Use natural language when crafting your announcement, and avoid technical jargon. Keep it professional, but conversational. People want to attend an eLearning event that is hosted by a human being, not an automaton. They need to be able to relate to your announcement and get the sense that you are honest and personable. These tips give you the ability to boost your site stats and improve your attendance rates. Also, don’t forget to track your efforts by evaluating site reports and analytics. Some techniques may work better than others, and analysis can help you target your promotional efforts. Would you like your eLearning event highlighted in our weekly email newsletter? Check out our eLearning event marketing services to learn how you can reach over 90,000 eLearning Industry subscribers.